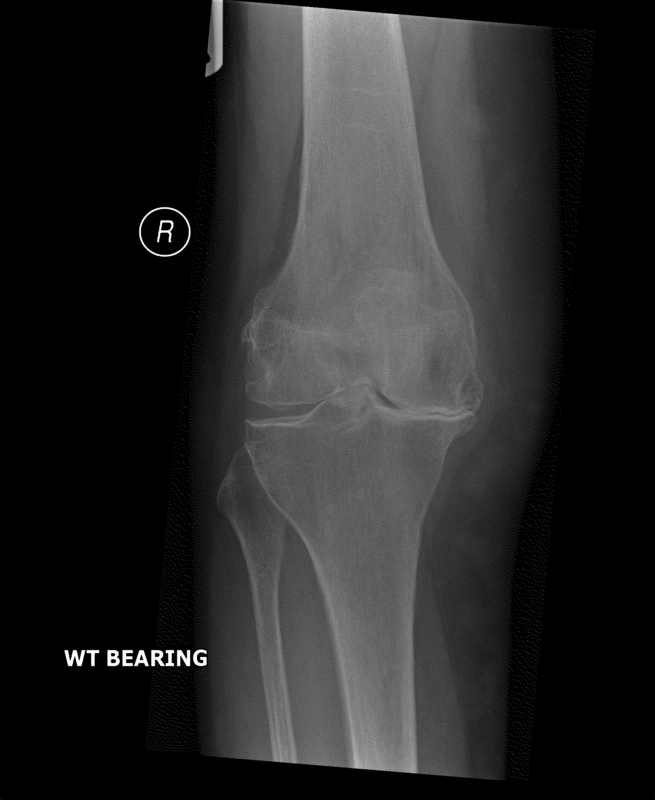 When the wear of the bearing surface of the knee has progressed to bone on bone arthritis it results in pain and loss of function from the knee. The knee may swell up, often becomes stiff with a limitation in bending and difficulty making it go straight. There may be a change in the shape of the leg, becoming bow legged or knock kneed. If the pain and disability from the arthritic knee are interfering with the activities, hobbies and pass-times of the patient then it may be time to consider replacing the joint with an artificial knee. The knee is divided into three compartments. 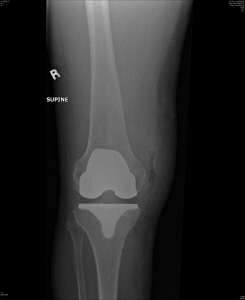 A medial (inside), lateral (outside) and patellofemoral (kneecap) compartment. There are individuals that develop arthritis in only one of the three compartments of the knee joint. If the rest of the knee is in good condition with intact ligaments then it is preferable to replace only the worn part of the knee and leave the good parts alone. This gives a more natural feeling to the knee after replacement often with a near full range of movement. This kind of surgery carries all of the risks of a total knee replacement, and in addition there is the potential for the rest of your knee to become arthritic and wear over time requiring conversion to a total knee replacement. The long term results of partial knee replacement are good and you can expect to gain good use of one for at least 10-15 years. The operation involves either a spinal or general anaesthetic and you will be in hospital for 1-3 days. You are encouraged to mobilise on the day of surgery and will be mobile with crutches when discharged home. Your recovery will be aided by outpatient physiotherapy and most patients are independently mobile by 6 weeks and can drive by 6 weeks. Total knee replacement involves a general or spinal anaesthetic and an inpatient stay in hospital. 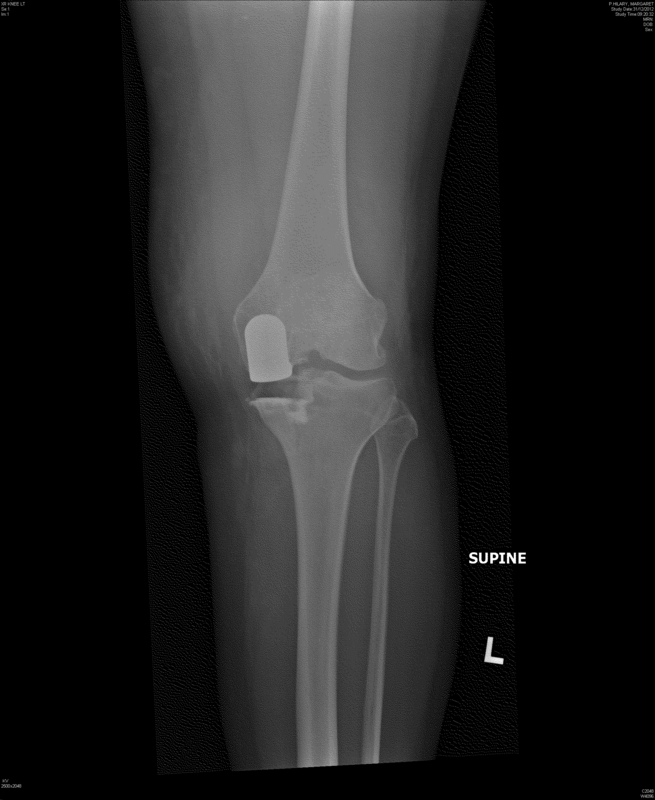 The worn surface of the thigh bone and shin bone are removed and they are replaced with a metal and plastic knee joint. The aim of the operation is to relieve pain and restore motion to the knee. There are risks to the operation and you will be counselled pre operatively with regards as to what to expect. The knee often becomes swollen and painful after the surgery, however it is important to begin moving it as soon as possible both to regain full function and to prevent a thrombosis. You are encouraged to mobilise on the day of surgery under the supervision of our physiotherapists with elbow crutches. Most patients stay in hospital for 1-3 days and we make sure you are safe on your feet and up and down stairs before you go home. The first 2-4 weeks are hard work as your knee is painful and swollen but you are working hard with physiotherapy to regain movement. Most patients can walk with only one crutch or a stick by 6 weeks and many can drive by 6 weeks. You will be seen for follow up at 12 weeks in the outpatients clinic. The knee replacement is designed to last a long time and you can expect 10 -15 years of good function before it begins to wear, this is dependent on use and if you take up long distance running or other high impact sports it will wear more rapidly. 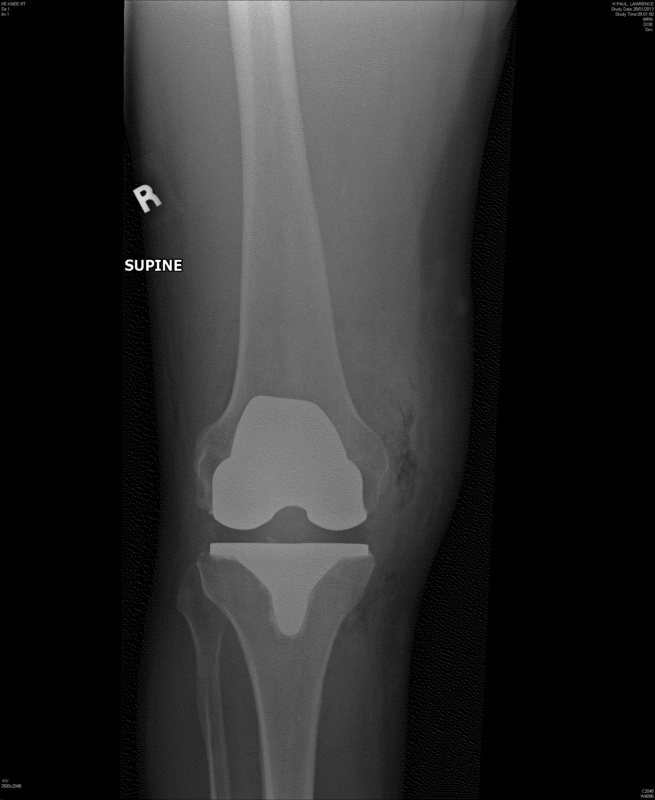 If you are young when you have your knee replaced it is likely that you will need a revision (redo) operation at some point in the future. As the knee replacement is made of metal it can set off security detectors at the airport, patients are encouraged to plan ahead to avoid delays when travelling and inform security staff of any joint replacements.